Morten Goll, Joachim Hamou, and Tone Olaf Nielsen in collaboration with a large group of refugees seeking asylum in Denmark, undocumented migrants, socio-politically engaged students and cultural producers, and migration justice activists. The artists, refugees, asylum seekers, migrants, volunteering artists, activists, lawyers, students, and theorists from Denmark and abroad. Private donors, private and public foundations (among others OAK Foundation Denmark). 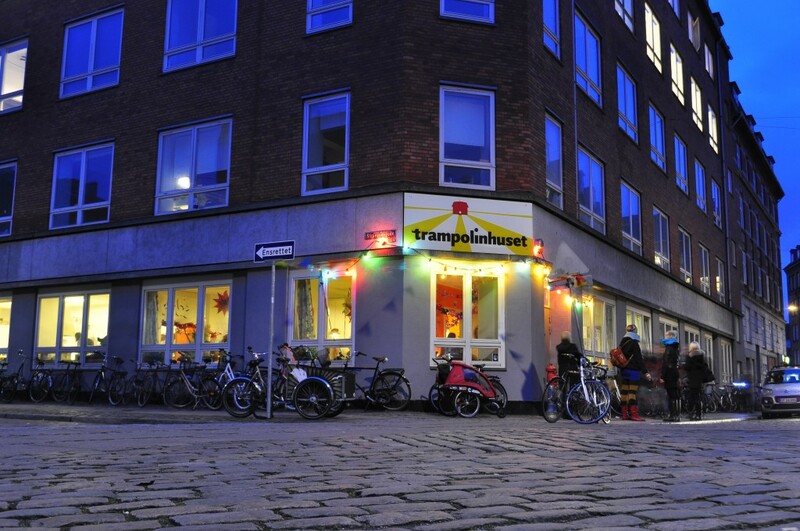 Trampoline House is a user-driven refugee justice community center located in the center of Copenhagen, where refugees, asylum seekers, and migrants can meet with Danish citizens and other residents of Denmark and share experiences, learn from one another, and work to create a more just and sustainable refugee and asylum policy. The house operates as a non-profit, self-organized platform for social interaction, knowledge exchange, and solidarity building across boundaries of privilege, exclusion, and inequality and offers a series of services and activities. Give asylum seekers the opportunity to be a part of a community, educate themselves, and build relations to Danish society while they wait to be granted asylum or be deported. Provide asylum seekers tools to better their social and legal situations. Inform the Danish public about the conditions in the Danish asylum centers in an attempt to motivate them to work to change the policies. To break the social isolation that most refugees, asylum seekers, and undocumented migrants in Denmark find themselves in â€“ and to inform them about the system that surrounds them in order to provide them with the agency and tools needed for them to better their social and legal situation. To inform the Danish public about the conditions for refugees, asylum seekers, and undocumented migrants living in the Danish asylum camps or underground in Denmark, in an attempt to motivate the public to work to reform the Danish refugee and asylum policies. 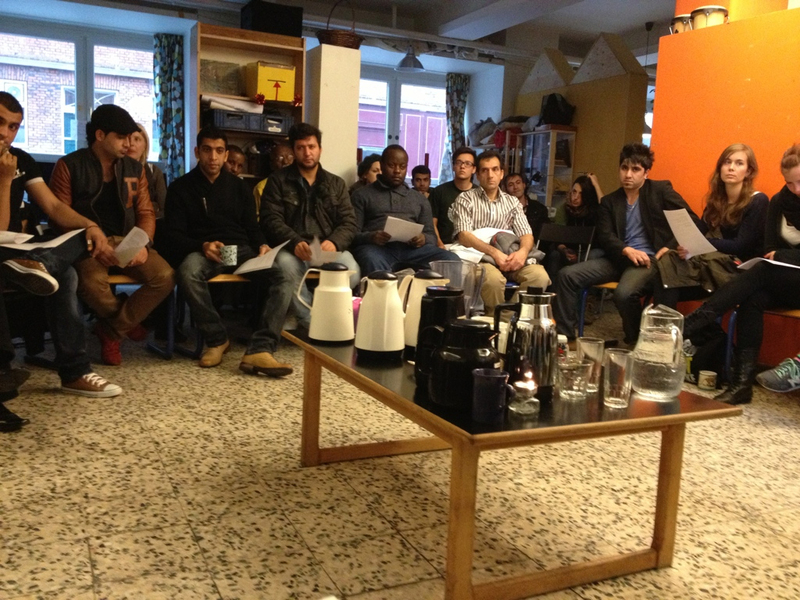 To jumpstart the inclusion of people with a refugee, asylum seeker, or migrant background in Danish society. All services and activities are free and draw on the skills, knowledge, and competences present among the users of the house and volunteering professionals. Asylum seekersâ€™ street paper, visAvis features articles on migration and asylum written by Trampoline House participants.